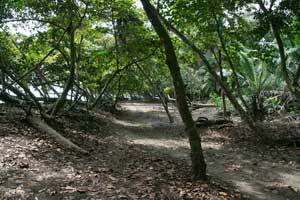 Costa Rica has a long coastline with many beautiful beaches. 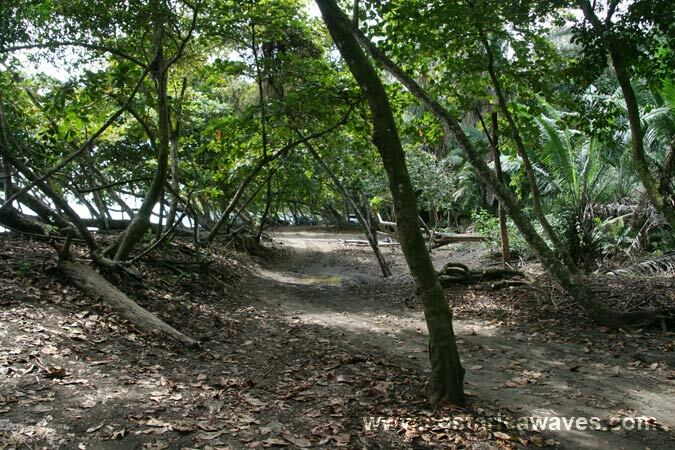 So it is no surprise that three of them got named Playa Hermosa, which stands for “Beautiful Beach”. Don’t confuse the 3 Playa Hermosas, otherwise you might end up in the wrong place. 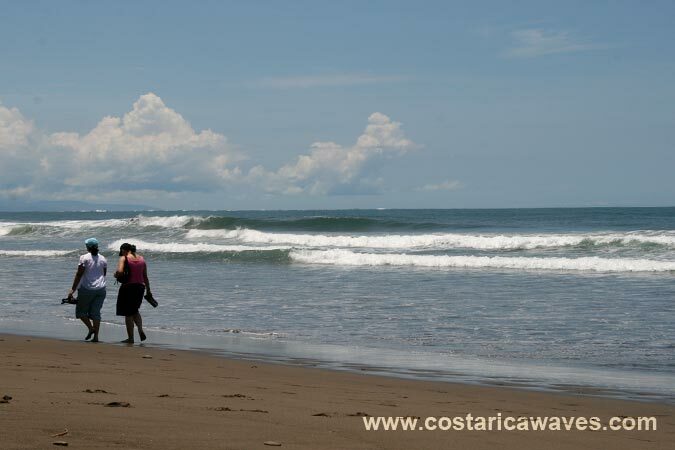 Among surfers the Playa Hermosa south of Jaco is the best known. 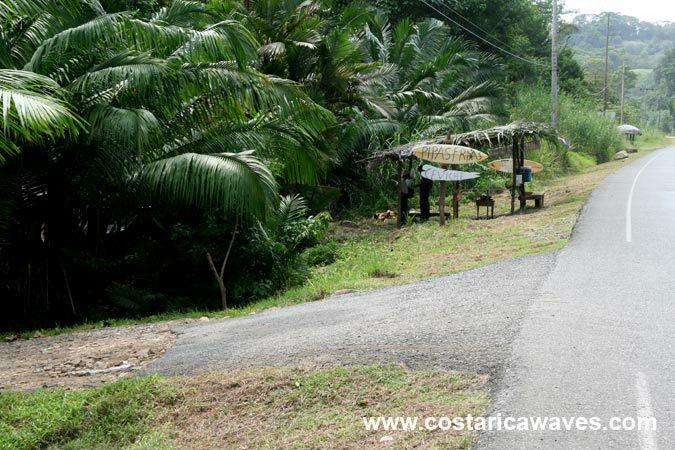 There is another Playa Hermosa in the northern part of Costa Rica, south of Playas del Coco, which is called Playa Hermosa, too. 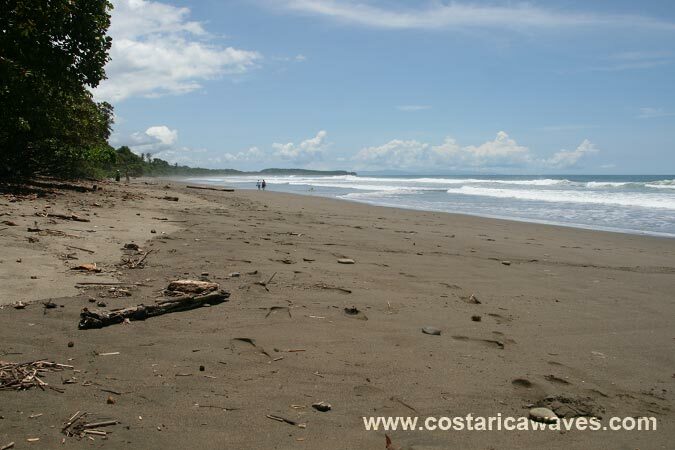 And then there is this Playa Hermosa, in the southern part of Costa Rica, between Dominical and Uvita. It is a long beach break with many peaks. 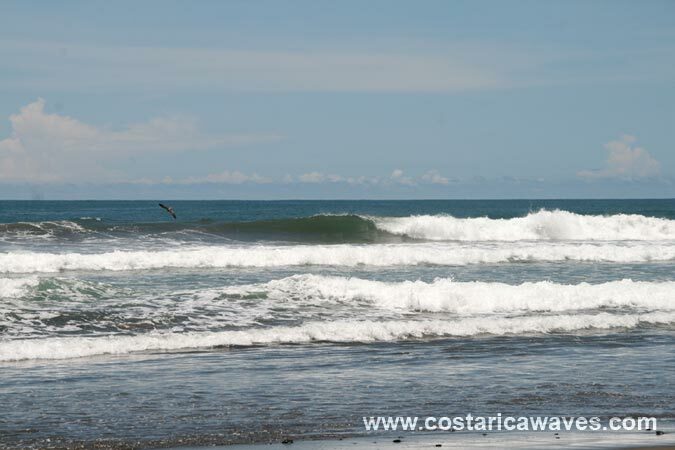 The waves here are smaller than in Dominical and break best at mid and high tide. The conditions are the best with swell from the Northwest. 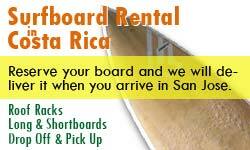 In addition there is a right point break, Punta Hermosa. The bottom of the beach is sandy. 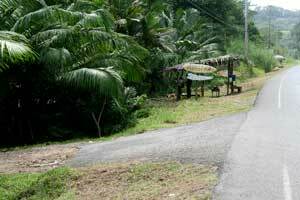 This is the entrance to the beach from them main road. 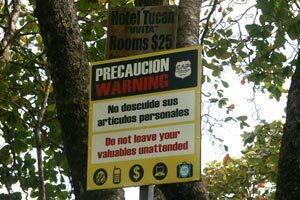 There are signs, you can't miss the turnoff to Playa Hermosa. 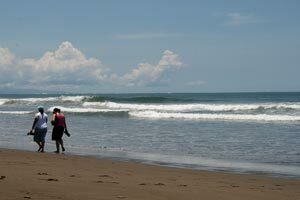 Playa Hermosa, a long beach break with many peaks. Plenty of space to park your car in the shade. Don't leave anything unattended in the car! 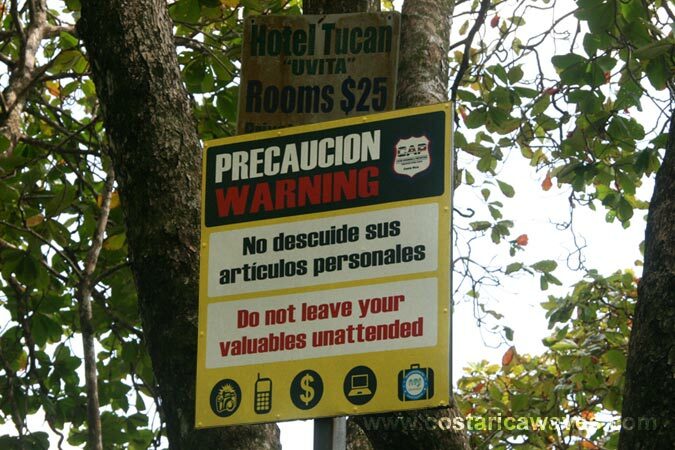 Make sure to always lock your car, regardless of where you park it. 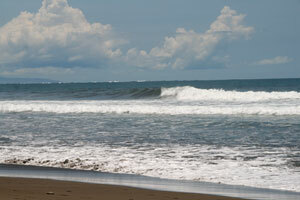 Playa Hermosa has both lefts and rights, the surf here is often empty. 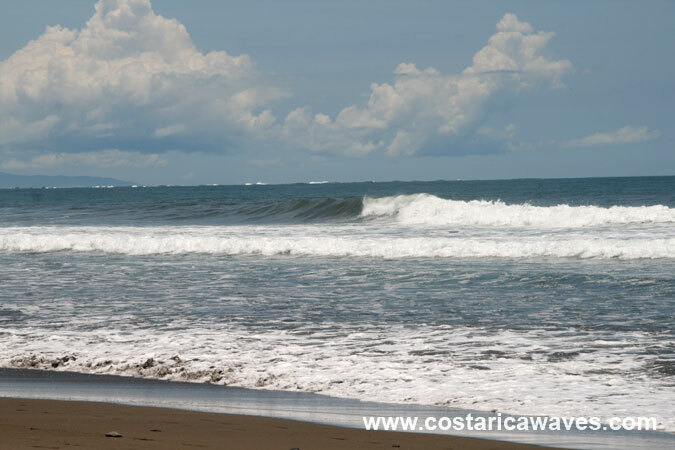 If the waves are not good in Dominical it might be worth to check out this surf spot. 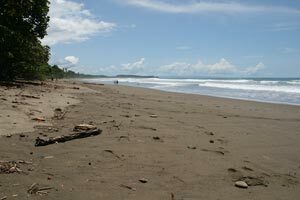 At Playa Hermosa the waves break over a sandy seabed.